Discover which Career Development Techniques are the Best for YOU! Find out here about the best career development techniques PLUS tips on which to choose and when. There are many different ways to grow your career and develop yourself at the same time. Knowing which technique to select when, and how to combine it with other techniques will enable you to put together a well thought through development plan. How to choose the right career development technique? Choosing the right career development technique is important. To make it easy for you I have narrowed it down to three key considerations as you thinkabout the career development methods that will best suit you. Put simply this is how you learn. kinesthetic - learn by touching and doing. For example, visual and auditory learners may prefer a more classroom type of environment. On the other hand, kinesthetic learners may prefer career development techniques that is more hands on so they can learn by doing things. What is your predominant learning style? You can take a simple test to find the answer. When you are thinking about the career development techniques to select spend some time reflecting on your preferred learning style and pick the ones that match it. At times you may have no option but to select career development methods that do not match with your preferred learning style. If this happens prepare in advance and think about what extra effort you will need to make during the event to get the most out of it. This is your second consideration and relates to the nature of the career , skill or competency gap you have to close. Spend some time reviewing your gaps to get an idea of which career development techniques will be most suitable in closing the gap. If you have a knowledge gap then you may have to consider some form of education and training to close the gap. Depending on your learning style you can choose from reading books, going through classroom training or learning through self-paced e-learning modules. If you have a skill or experience gap then it might be best closed by some form of exposure to the situations. Depending on your learning style this could range from observing someone who performs in those situations at a high level to actually learning on-the-job. Pay more attention to the types of career development methods you select to close your leadership gaps. While people at all levels need to display leadership skills it gets more important as you go up in an organization. Spend some time and select the career development techniques that will help you become a better leader. This is the final piece and is related to the type of career change you are considering. making a career change to a new job in a new area of work. The career development techniques you choose should be closely related to the nature of the career change. For example, to develop further in your present job you usually need to perform ata higherlevel within the required set of competencies. This can happen through further on-the-joblearning and being exposed to new and different situations. Moving to a new job in the same area of work may involve some additional competenciesthat you need to become more proficient at. You will need to choose the relevant careerdevelopment technique that will help you gain new knowledge and experiences related to theadditional competencies. Depending on your learning style this could be a combination ofboth classroom and on-the-job career development techniques. If you are making a career change then the gaps could be quite large and may involvea completely new set of competencies. The mix of techniques you choose may wellinclude a combination of formal education and training, work experience, gradual exposureto the new area of work and a period of intensive on-the-job learning. As you go through this section reflect on your career gaps, your skill and competency gaps and use that information to select the appropriate career development techniques that best suit your situation. Executive book summaries - are a great way to close your knowledge gaps especially if you have a lot to learn in a short period of time. You can pick up important concepts and ideas very quickly and apply them instantly. I love reading books and with executive summaries its like getting the cream without having to eat all the cake! Classroom training - involves attending a set program with other participants and designed around a particular topic. The session may include theory, practice or a combination of both depending on the nature of the topic. Depending on how your organization's training is set up you either attend them in-house or go outside to an external provider. Taking a short course - is another career development technique for closing knowledge gaps. The course can range from a day to several days. Certain jobs require people to keep their technical knowledge up to date through short courses. Online Degrees and e-learning - is a popular and very effective career development technique. Want to branch out in a new direction? Further enhance your career? Then, this is a great way to do it - from your own home. You can even complete degree programs on-line. If you are unsure, try out a few modules/subjects. If it is a company offered program then increase your learning effectiveness by forming local learning groups to share your experiences. Formal education - is an important career development technique particularly if you have a major knowledge gap. If you are changing careers and your new area of work requires formal qualification then you need to think about including this in your development plan. There are many ways you can go about this so it pays to get further advice on how best to approach it. Language learning - in today's globalized and borderless workplace the ability to communicate in different languages is a definite plus and will give you an edge over others. Many years ago I learnt German over three years by going to evening classes but using latest web technology today you can learn a new language from your home in a much shorter period of time. If you interact with people from other countries, thinking about working in a new country or even considering enhancing your career then learning new languages is a must. Apart from giving you self confidence it will open up new horizons and opportunities which will enrich not only your career but also your life. There are many career development techniques for closing skill and experience gaps. Most ofthem involve learning by doing. Research indicates that almost 70% of learning and competency development takes placethrough on-the-job learning. You should definitely include one or several of these career development techniques in yourdevelopment plan. Work experience - is a common method mainly used in the early years of career development where you pick up experience through events such as summer camps, intern or co-op programs and graduate programs. It is more difficult to include this as a career development technique in the later years of your development. Gap Years - also known as "year out", "deferring" or "overseas experience" is a prolonged period between a student's completion of one level of education and the next. It can also be between finishing studies and starting a career. Those undertaking a gap year usually travel to other countries and is a great way to experience other cultures and gain valuable experiences. Gap year experiences will make your resume stand out and demonstrate that you have courage, drive and initiative. On-the-job learning - is a very useful and valuable career development technique.You have the opportunity to be exposed to the real environment. Daily exposure to the realjob and its challenges require you to practice the competencies. You grow and developthrough this process. Taking on a challenging task or special project - is a great way to push yourself into new territory.This may be uncomfortable early on as it may involve doing somethingthat you have never done before. Do not be afraid of making mistakes as a lot of learningcan happen. Just make sure you have someone to guide and support you if you need help. Working in a cross-functional team - is a definite must if you want to knowabout how the broader business works outside of your own area of expertise. If you areconsidering a career change then is a good way to start getting exposed to the areayou want to move into. Work simulations - enable you to get exposure to situations in a simulatedenvironment. You are presented scenarios either on paper or by a real person who isacting the part. You are then assessed on how you handle the situation and givenfeedback for further improvement. You can close leadership gaps in many ways. Common career development methods include real experiences and everyday events like those explained above. They are an opportunity for you to exercise and demonstrate your leadership. Your learning and development takes place during such events. Reading and self reflection - is a very powerful method. Of all the career development techniques this is one that you should have as a priority if you are serious about developing your leadership capabilities. A combination of reading and self reflection enables you to learn more about yourself and then practicing the skills on a daily basis to become the person you want to be. Quote "aff15" on Wiley.com and get a Career-Change-Mentor site special 15% discount on your book and technical publication purchases. Personal Development - through Simpleology 101 is a FREE and outstanding on-line program that I highly recommend to you. I went through it myself and was surprised with the results I was able to get within a few days. Become a better leader by taking this personal development course before you take any others. Coaching - is where you are working with a person you trust and respect toguide you in your development. Remember, a coach will not necessarily have all theanswers or want to give you all the answers. They are there to work with you and guideyou in your own self-learning and discovery. If used well this can be very powerful. Mentoring - involves being paired up with one or several mentors who takean interest in you and are there to give you advice and guide you. Senior leaders whocare about others can be mentors. To work well it needs to be set up properly such thatboth the mentor and the mentee find it worthwhile. 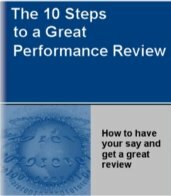 Observing a high performer - is a very useful way of finding out how effectiveleaders lead and work through certain situations. You shadow the person and get to seethe real issue being played out in front of you. Your learning and development takes placethrough observation and recording how situations are handled by the other person. Dialogue with senior leaders - to find out about their career and workexperience is another effective method. These are usually attended byseveral participants and facilitated so there is effective dialogue between the leaderand the participants. You now have a variety of career development techniques to consider. Pick and choose the ones that best suit your circumstances, your learning style, the nature of the gap and the type of skills and competencies you want to develop. To get the best outcome combine several career development techniques and then start working through your plan. Also remember to review the different skill development resources available to you toget further information and advice on your plan. Finally, remember to review your progress on a regular basis and celebrate your wins!